ArmadilloCon time is almost upon us. The literary festival in Austin was one of the first SFF conventions I attended and in many ways it remains my favorite. I’ve made a lot of friends at the con over the years, and always enjoyed some great conversations and discussions on the various panels I’ve been on. This year looks like it’s going to be another good one with some great writers and artists in attendance. We’ll all be congregating at the Omni Southpark Hotel in Austin between august 4th and 6th, so come join us. On Saturday at noon I’m scheduled to do a reading, and it’s traditional at these sort of events to read something from your latest works. I’m lucky in that in the past month I’ve had two books published which contain my work…. …. but I’m not sure Enterprise Information Management or the pulp adventures of a 1930s New York private eye are a good fit for an SFF audience. But then today I found out about the following bit of news. The upcoming release of a book about the 30th anniversary of Star Trek: The Next Generation, in which I have one of the essays. And am I not moderating a panel on this very subject the same day? – Problem solved. June was a month of Conventions and Quatermain. So let’s start with our favorite jungle adventurer. As I mentioned in last month’s Ramble I’d heard that there was an audio edition of my Allan Quatermain story “Golden Ivory” in production. Well a few weeks ago it was released on Audible.com for download and your listening pleasure. As a side note voice actor Jem Matzan posted an interesting article on his blog about how he decided on the different character voices. Its an interesting behind the scenes insight into a side of producing an audio adaptation that I hadn’t thought much about. When I write a story the characters tend to have distinctive voices in my head, but I never imagined having to produce those voices for real, and how you would go about that. This month I also finished and turned in my new Allan Quatermain novella “Stones of Blood.” The story is scheduled to be included in the upcoming second volume of Allan Quatermain: The New Adventures. I can’t say much about the story as yet, but as a taster it does include a reference to this somewhat incongruous historical scene. The two conventions in June were very different in size and scope, but were both great fun. Early in the month was the Peoria Artists and Comics Expo, just in its second year. It was a friendly local con, and we had a great time chatting with a lot of first time convention goers. I also participated in a panel entitled “Storytellers” which proved to be a fun exchange with a interested and engaged audience. The following weekend I was off to Houston, Texas for Comicpalooza. I last did this show four or five years ago, and boy has it grown in the meantime. Now covering all three floors of Houston’s main convention center, it was a lively and bustling show with something for every member of the family, and every branch of pop-culture and science. It was also one of the best organized large conventions I’ve attended. I appeared on several panels covering subjects such as “Marketing for Writers,” “What Editors Really Want,” “Sherlock is Everywhere,” and “Alternate History.” All were great subjects and the panels were fun and informative. I also got a chance to catch up with several friends, and make a few new ones along the way. One of the highlights of Comicpalooza for me was the “Pros At Cons” podcast interview I did with the team from CCP Comics. It was one of the most relaxed and wide ranging interviews I think I’ve ever done. You can find it on-line at SoundCloud. 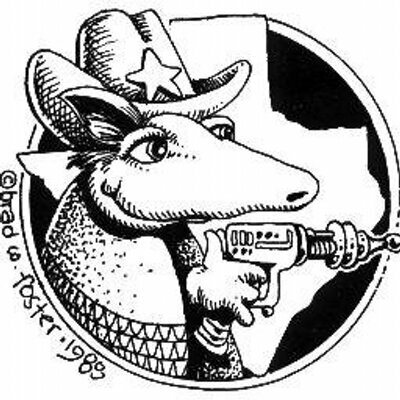 Next up on the convention list is a return to one of my perennial favorite events, ArmadilloCon in Austin, Texas. You can catch me there between July 29th and 31st. Writing-wise the focus for July will be the continuing work on planing and plotting the last three issues of the FORGOTTEN CITY comic book series, and the ongoing editing and rewrites for the James Bond Lexicon project. Have a fun summer, and I’ll be back next month with more updates. As I write this I’m just a few days away from heading to Austin, Texas for one of my favorite events of the year, ArmadilloCon. “DilloCon” is second longest running science fiction convention in Texas (this year marks its 37th event) , known for its emphasis on literary science fiction. This year will be my seventh time at the event and, as usual, I’ll be participating in panels, doing a reading, and for this year only, rolling out my “History of the Illustrated 007” show. Nothing specific scheduled but I’ll be hanging out and visiting with friends. 4:00pm – “The History of the Illustrated 007” presentation. 6:00pm – Reading (probably from the latest Allan Quatermain story that I’m currently working on). 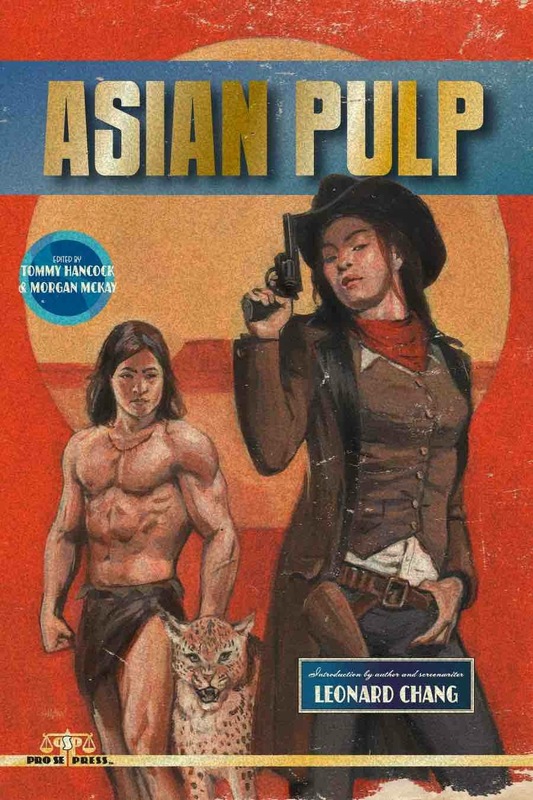 For those who may not have seen the news on my various social media channels, I’m please to announce that the new Asian Pulp anthology from ProSe Press, which features the debut of my new character, the Lotus Ronin, is now on sale. Rick Ruby: The latest volume of stories featuring 1930s New York based P.I. Rick Ruby is in production. No information on a release date yet. Allan Quartermain: Stones of Blood: I’m currently still writing new short-story featuring the classic jungle adventurer in a tale that takes him from the streets of London to the battlefields of the First Boer War. More on this one as it develops. James Bond Lexicon: A Guide to the Worlds of 007: The manuscript for our upcoming James Bond Lexicon is with the fine folks at Hasslein Books for copy-editing. If things stick to schedule we are aiming for publication around the end of September or early October. You can keep up with the latest James Bond news at the book’s tumblr and twitter accounts. Meanwhile work continues on our U.N.C.L.E. Lexicon project, “The Lexicon Affair” – look for more updates on this soon. You can keep up with the latest U.N.C.L.E. project news at the book’s tumblr and twitter accounts. FORGOTTEN CITY – The second story arc issues (#6-10) are in various stages of production as the Kid Domino team get them ready for uploading to comiXology for digital distribution. I have turned in the script for Issue #11.